Increase your ROI with our years of expertise in Direct Response. Partner with ePlanet for your BPO needs. ePlanet Communications Inc. is a global Business Process Outsourcing provider with a vast array of outsourcing solutions & services under one roof. We have specialized focus on each of the verticals, each working as a separate unit, which provides our clients with an access to a highly specialized workforce and industry expertise, quality and productivity. With our operational excellence, right technology and people, we simplify complex end-to-end BPO services, while maintaining efficiency and productivity with measurable results. With over a decade of experience in the BPO industry, we don’t just understand the needs of the customer, we are experts at fulfilling them. With our multi-channel solutions we increase brand recognition and our detailed analytics deliver key intelligence to our clients for important decision making, while connecting with your customers in ways that enhance their experience and increase their ‘customer lifetime value’ for your business. ePlanet’s Business Process Outsourcing solutions include Comprehensive Call Center Solutions, Inbound and Outbound Sales, Direct Response Trial Solutions, Digital Media Solutions, Data Management Solutions, Technology Solutions and Research and Analytics, all tailored to meet the specific demands of various industries, maximizing their profitability by increasing productivity, re-engineering processes, improving quality, reducing delivery time and cutting operating costs to increase bottom-line for our clients. 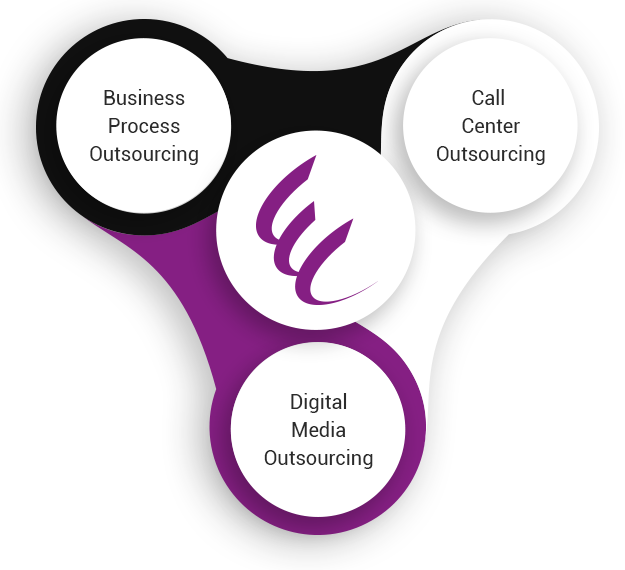 Our clients can choose the level of engagement and outsourcing based on their needs: Full, Hybrid, on-Demand contact center solutions and Digital Media Solutions – Stand alone or combined with our contact center solutions.